Majority of the belt in use today are the V-belts. 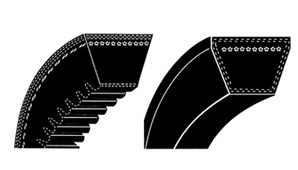 These belts utilize a trapezoidal cross-section to deliver a unique wedge action on the system pulley. 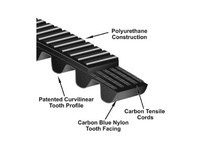 The effect is increased friction to help raise a belt's power transfer capability.